What a sweet pair! And both have such beautiful markings! You two are very cute! 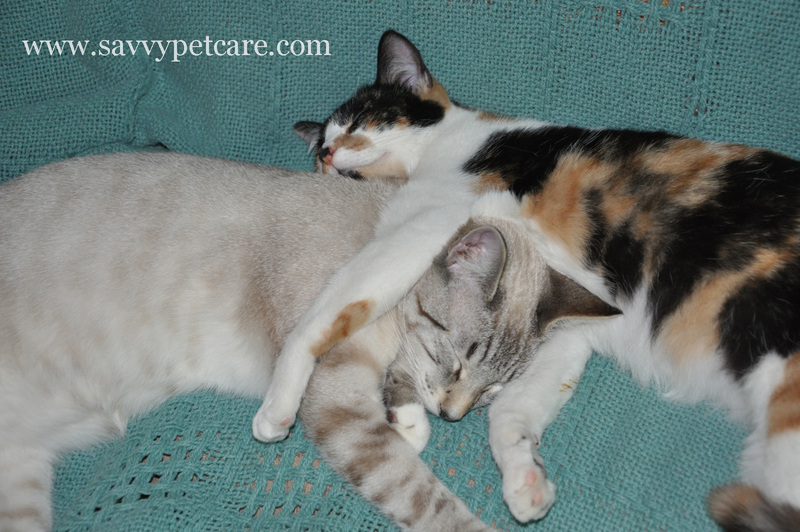 We hope you had a super nap and you have a purrfect Wednesday. My favorite thing to do – Sleep! Aw! We always have cuddly doggies but never cuddly kitties in our house. So sweet!